There is a critical shortage of affordable dental care for low-income children in the Chicago area. Finding care for special needs children (i.e., children with Down’s Syndrome, autism), children with extensive or complex oral health problems (i.e., children in need of multiple extractions or root canals), and children with behavioral health issues (i.e., children with a diagnosed mental illness) is all but impossible for families with limited resources. It is not uncommon for parents to come to the IWS Children’s Clinic after being turned away from more than one dentist because their child’s behavior was too difficult or because the practitioner did not have the training or tools necessary to provide care to the “high need” child. 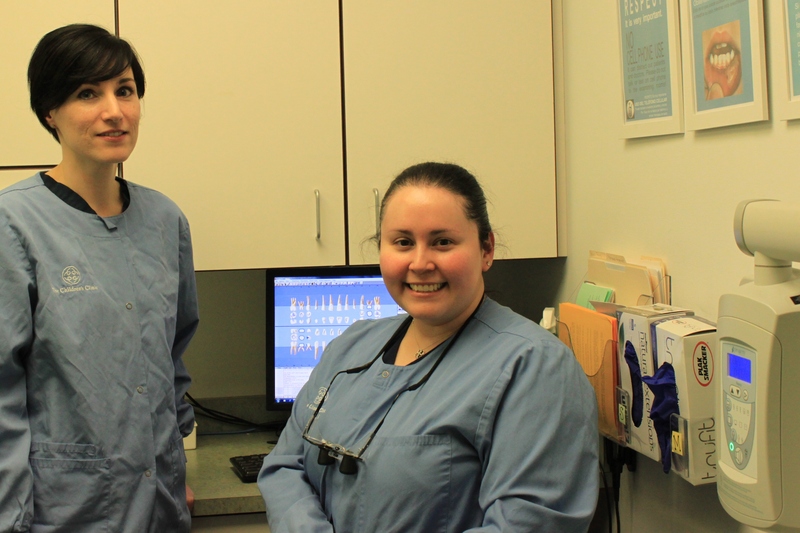 Washington Square Health Foundation provided a grant to the Clinic for seed money to open a new 7.5 hours dental clinic for these “high need” dental patients. The new clinic is staffed by a pediatric dentist. Pediatric dentists have completed an additional 2-year residency after dental school which includes specialized training in behavioral management techniques. At the Clinic, the dentist has a number of tools at her disposal to treat “high need” patients including nitrous oxide, an anti-anxiety agent, in all five dental exam rooms, and papoose boards to minimize patient movement during dental procedures. She also has operating room privileges at Illinois Masonic Hospital where she can see patients who need to be anesthetized for all of their dental procedures. In 2014, access to dental care was provided for 454 low-income children in 572 visits. The Oak Park River Forest Infant Welfare Society was founded in 1916 as a “milk station” – a place to distribute pasteurized milk to low-income Chicago-area families. Today, the IWS Children’s Clinic is a full-service pediatric health clinic, providing medical, dental and behavioral health services in a medical home model to children from 45 west suburban communities and the City of Chicago whose families are unable to afford the cost of private health care. What makes the Clinic unique among community health clinics is our holistic approach to health care. We treat the whole child and our services are integrated and coordinated across disciplines. Furthermore, all of our programs include a strong emphasis on disease prevention and health education. In FY 2014, the Clinic provided quality, affordable health care to 3,229 low-income children in 9,996 visits.